You rely on your HVAC system to keep your home cool during the summer and warm during the winter. So when your system appears to be on the fritz or isn’t functioning as efficiently as it should be, you need a reliable contractor to come in and recommend a fix. At Drain Doctor Red Deer, we offer HVAC repair services in Red Deer designed to get your system up and running again. 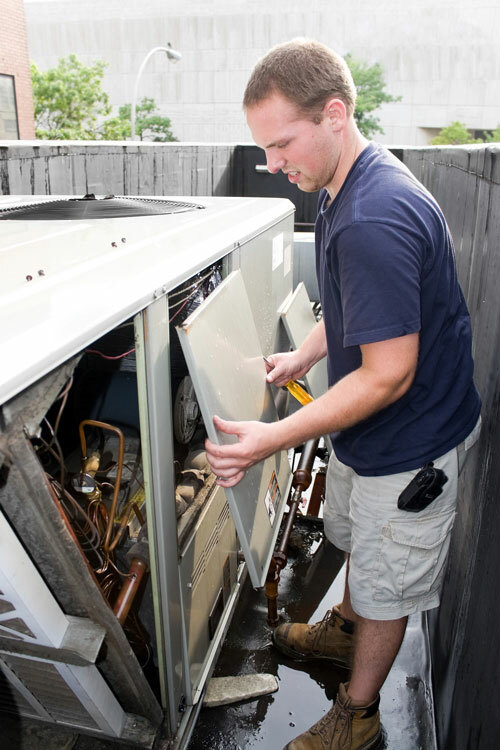 Whether you’re looking for heating system repair, air conditioning repair, or ventilation work, we’ve got you covered. Our trained HVAC repair technicians will be happy to answer all of your questions and address your concerns so that you can feel comfortable with our recommendations. And at Drain Doctor Red Deer, we’ll only advise you to repair your heating and cooling system if it’s cost-effective to do so. For reliable service and quality workmanship in Red Deer, the choice is clear. Call Drain Doctor Red Deer, and let us tend to all of your HVAC repair needs.